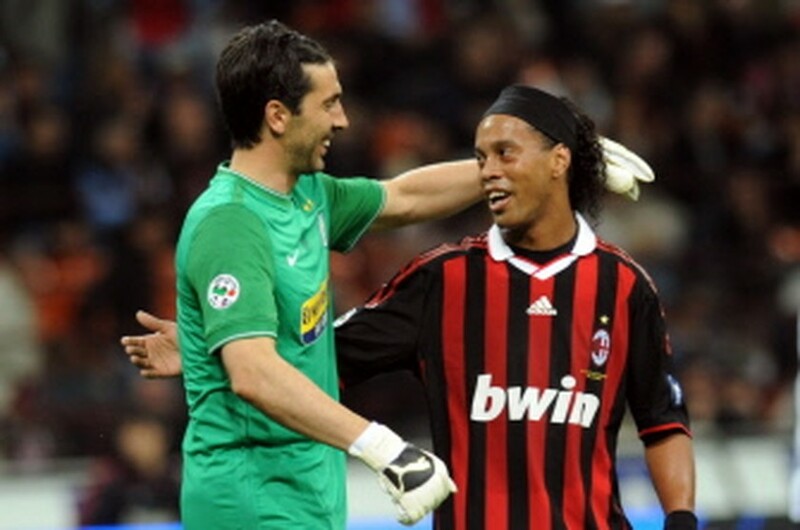 ROME, May 16, 2010 (AFP) - Juventus goalkeeper Gianluigi Buffon seemed to hint at a move to Manchester when he refused to commit his future to the Italians following the end of their disastrous Serie A campaign. Juve were thumped 3-0 by big rivals AC Milan for the second time this season as they finished the campaign in seventh place with a club record 15 defeats and 56 goals conceded. That was only just good enough to scrape into the Europa League qualifying rounds next season. And having been reportedly linked with a move to either Manchester United or City, Buffon was not about to dampen the fires of speculation. Asked if it was his last game for Juve, he said: "I don't know, that's something I can't say I know and I don't know. "Hence it would be useless to say anything without knowing." And asked about a move to Manchester he added: "I really don't know. That's a discussion that has nothing to do with the problems we've had this year. "I'm hurting because I never expected to reach the last game of the season with nothing to play for." In truth, Buffon has not been responsible for Juve's ills and has been as good as ever this season. But he could do nothing about a defence in front of him including three out of four expected starters for Italy at the World Cup in June, but which seemed unable to plug the holes when playing for their club.